I’m sure you’ve seen the scenario before. Child number one is happily playing with a toy, let’s say a plastic Tonka truck, with a dozen other toys scattered on the floor around him. Then, child number two enters the room, and despite the abundance of options, the only thing that will satisfy him is the four wheeled vehicle that is already in the hands of another. The fact that someone else wants it somehow makes it all the more desirable. That’s a bit how it was in my backyard yesterday afternoon. 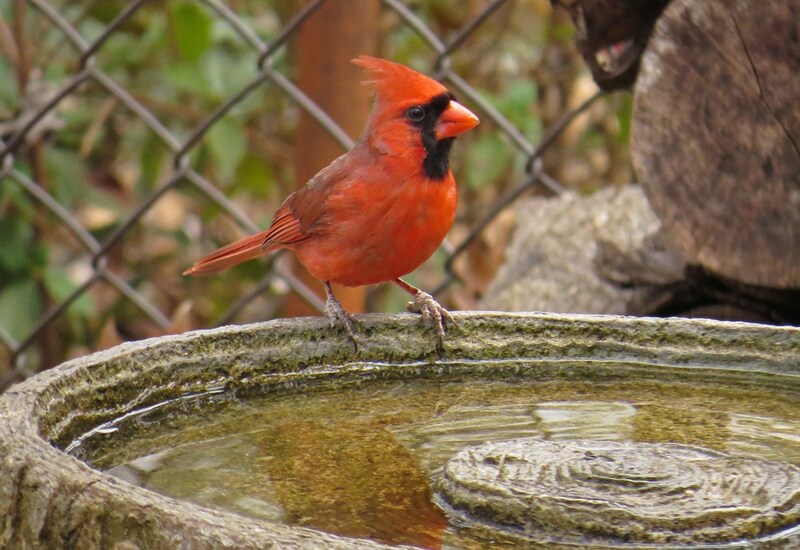 The birdbath was sitting there full of water but empty of birds until a male Cardinal perched on the edge for a drink. 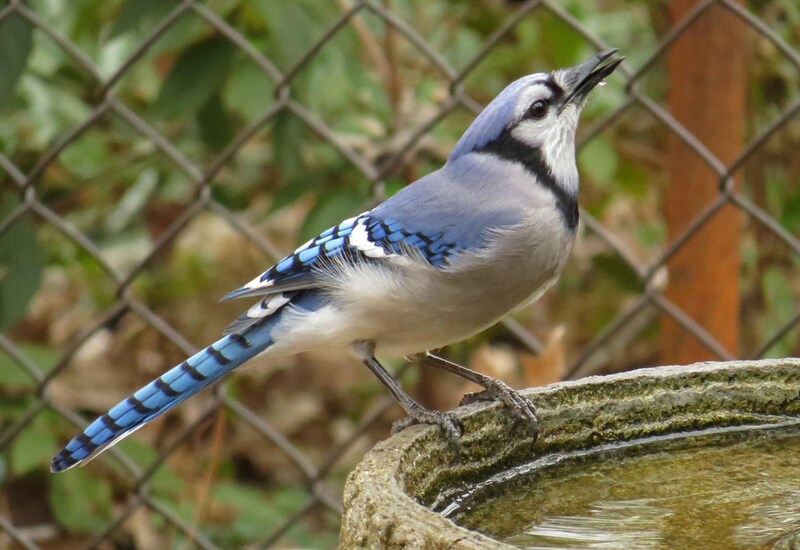 He had barely taken a few sips before the backyard became a flurry of wings, all determined to get their turn at the bath. 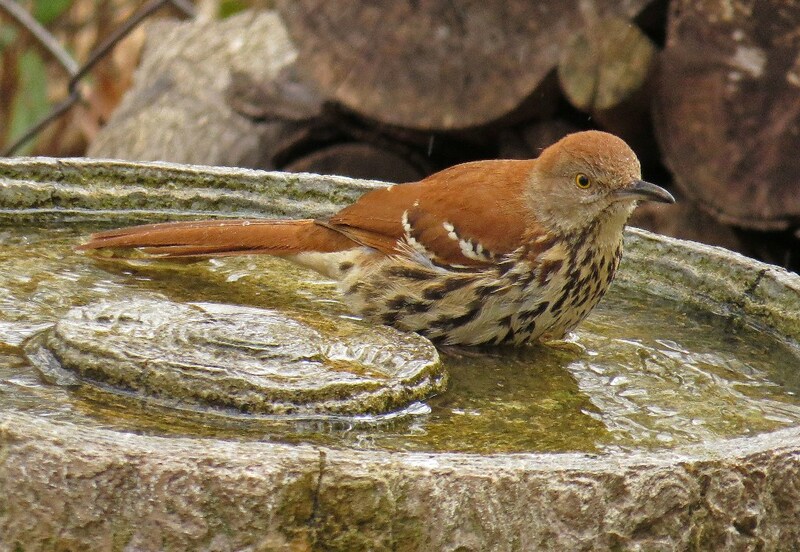 A Brown Thrasher was the first to dash over and claim the territory as his own. 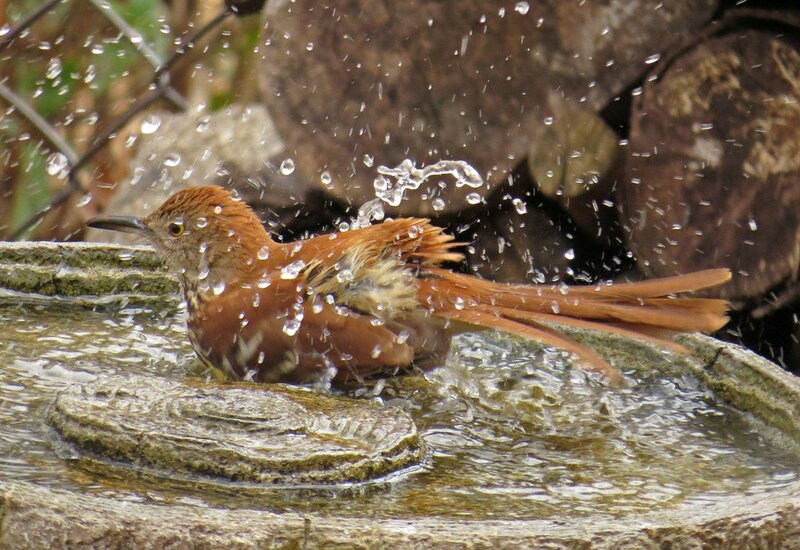 He soaked and splashed and scowled at any other birds that tried to share his space. Come to think of it, he always looks like he is scowling. 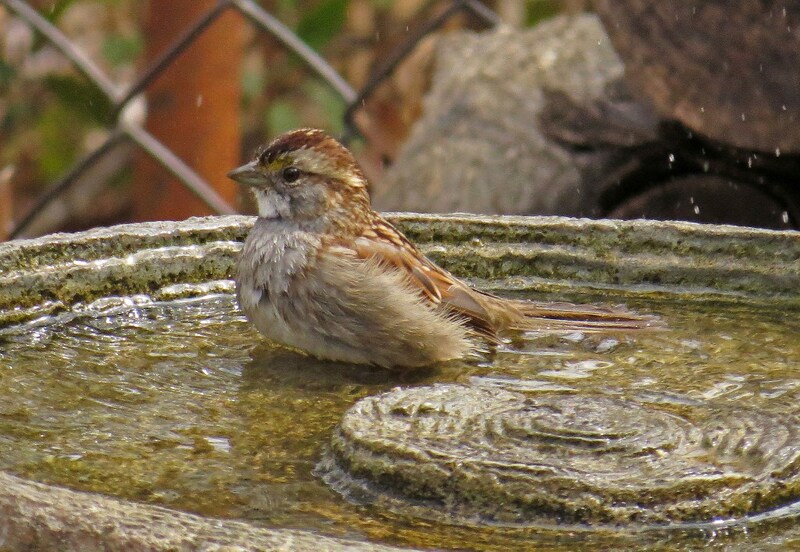 When he finally gave up his place in the now coveted birdbath, a White-throated Sparrow hopped in. 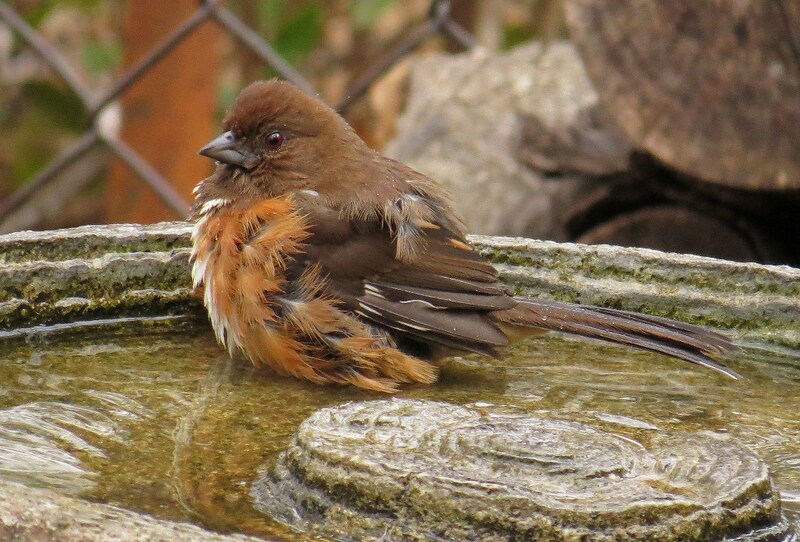 Next to arrive was a female Eastern Towhee, who took her own sweet time bathing. Isn’t she a beauty? She was in no hurry to leave, and in no mood for company. 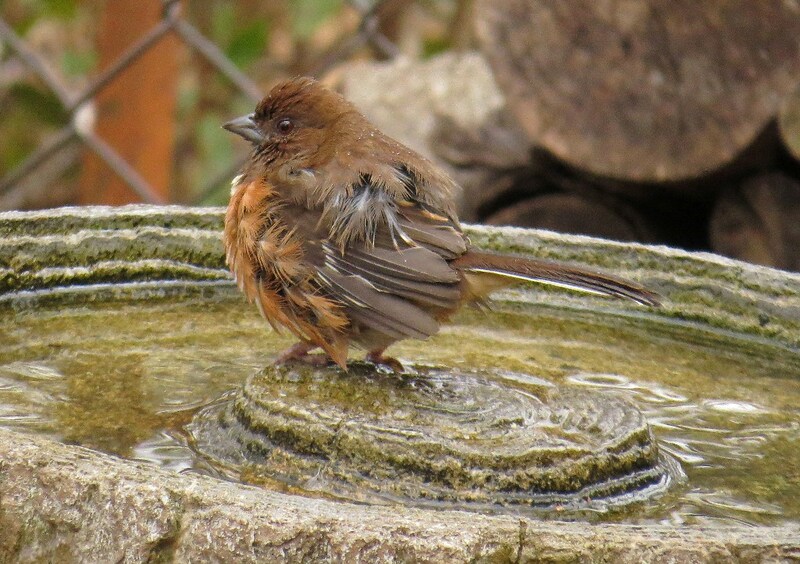 After she had bathed for awhile, all the while wearing her best “no visitors welcome” expression, she stood in the center of the birdbath to guard the area from unwanted intruders. 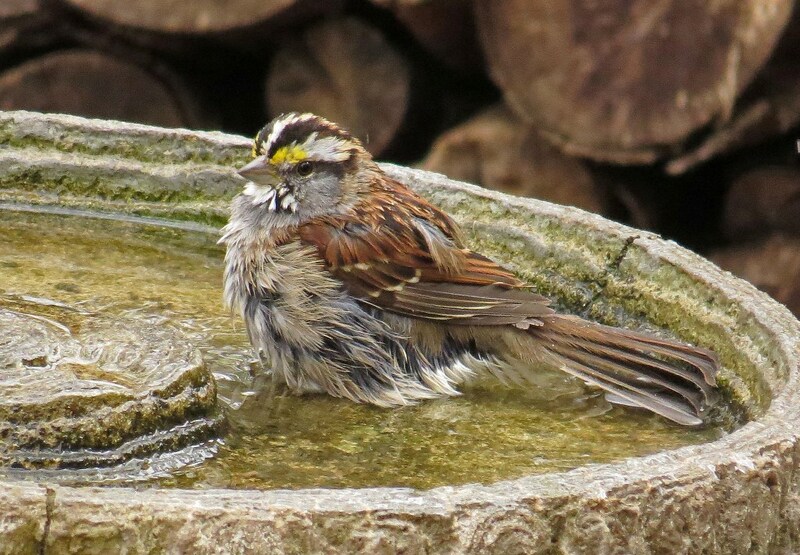 When she finally left the water, another Sparrow hopped in for a quick rinse off. Others waited in the wings, and popped over for a quick drink in between bathers. It was comical to watch all the activity. 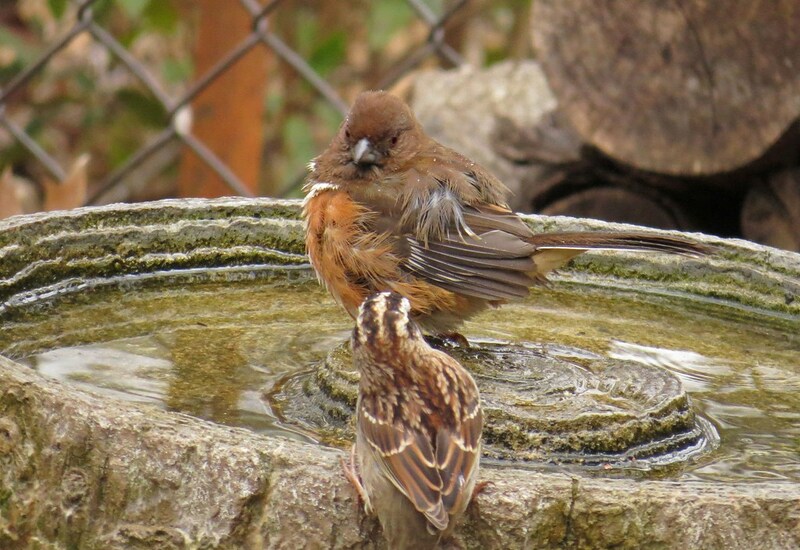 It only took one bird to show the slightest interest in the birdbath, and before long there was an entire covetous crew determined to get in on the action. 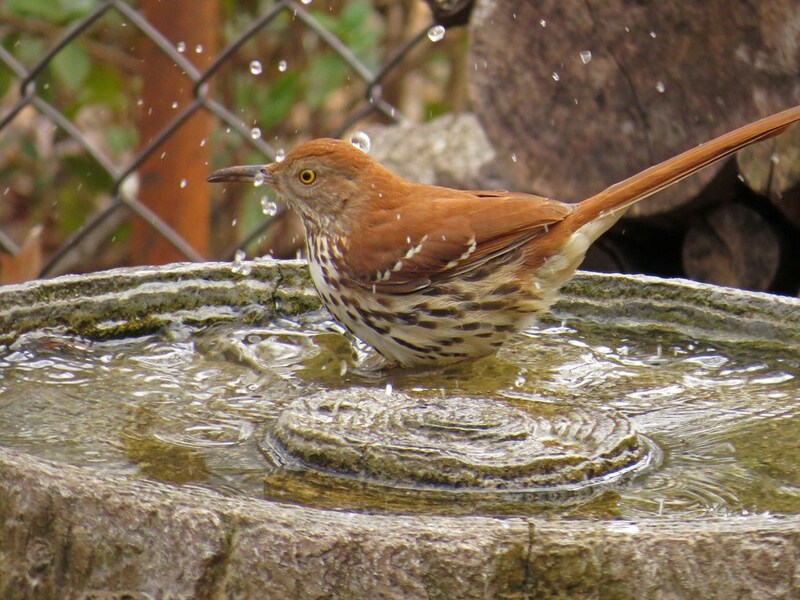 In the midst of it all, the Towhee and the Brown Thrasher kept returning for repeat visits. It only seems fitting to close with one last photo of each of them. 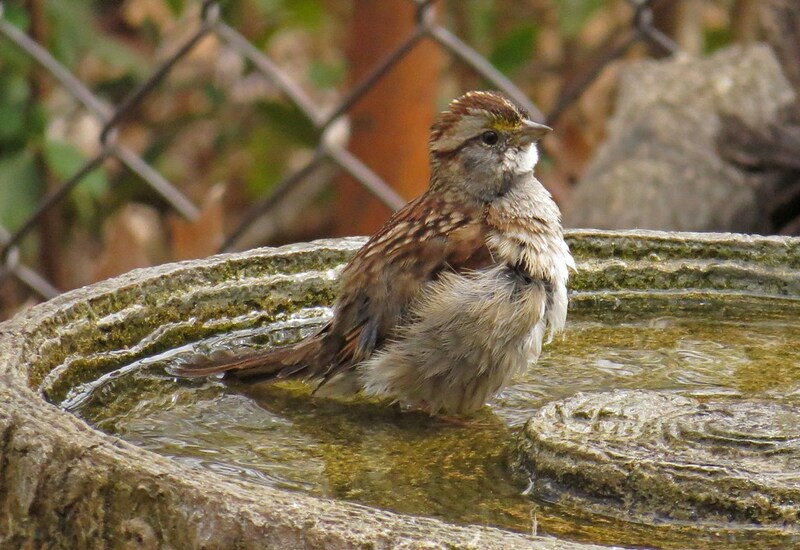 This entry was posted in Backyard Birds and tagged beauty, bird photography, birds, nature, thrasher, towhee, white-throated sparrow, wildlife, writing. Bookmark the permalink. 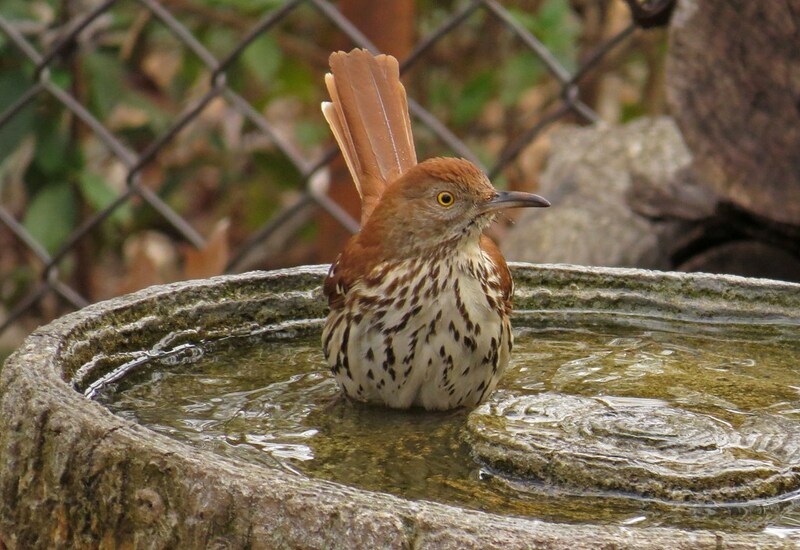 Your brown thrasher definitely has the “withering glare” down pat. 🙂 What a wonderful time they all had at your Backyard BIrd Spa! Most enjoyable post Kathy, and lovely clear photos, a delight to behold! Hi Kathy! It is my current post I posted a few days ago, http://aussiebirder.com/blog/ When like you and your hubby we went away and were looking for shore birds (waders), we were doing a similar search. I do not have pelagic birds (sea birds) as such but waders (shorebirds) featured, as this there time of year here. They have all left now in their flocks to return to Alaska for Summer as we move into Autumn. The pelagics are hovering around the fishing boat with waders and shore birds in my last picture. We hope to do a pelagic sea journey eventually, where we go out in the research vessel and they identify and count sea birds, you have to have the stomach for it so I have been told. 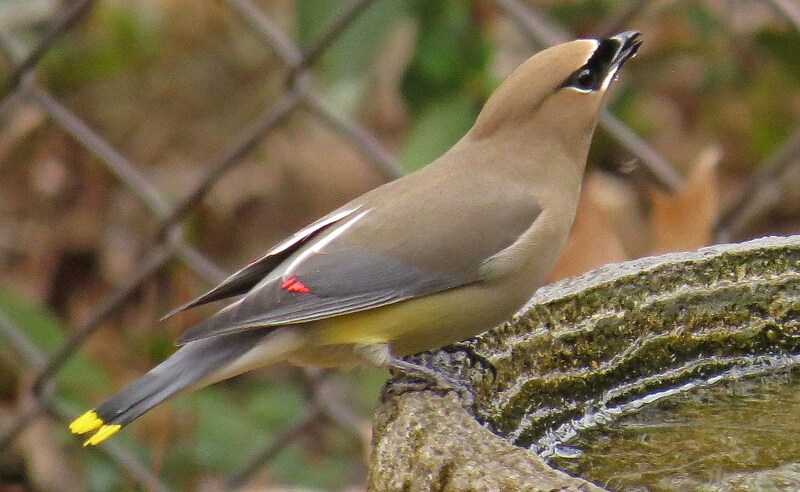 Thanks Kathy for you welcome interest, We do enjoy your posts and your site. 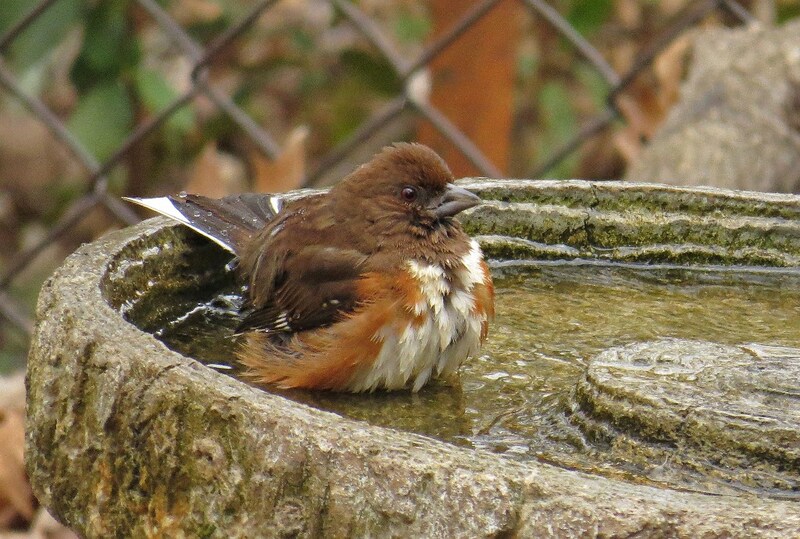 What fun…the female Eastern Towhee wearing her best “no visitors welcome” expression was definitely my favourite. Wonderful post and photography Kathy.